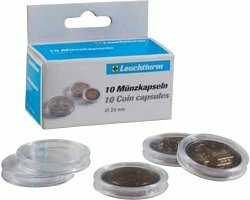 Original LIGHTHOUSE coin capsules are the optimal protection for your coins. Made with high-quality and scratch-resistant transparent acrylic. Firm yet easy-to-open fastening.